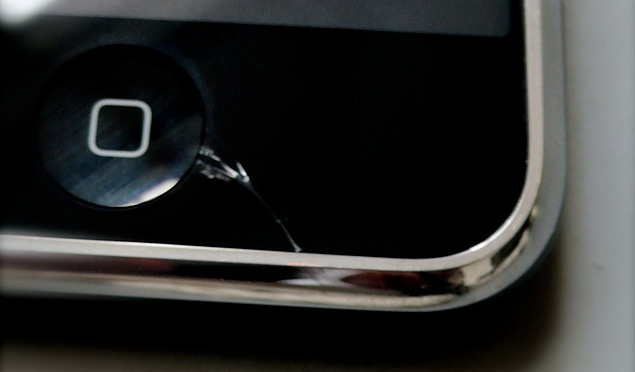 Apple uses Corning Gorilla Glass in its products. This is one of those widely accepted facts that has never been outright confirmed by the company. The product, which is a thinner, tougher version of everyday glass, is ideal for use in touchscreen devices like the iPhone and iPad. Now, Apple’s new page on job creation in the U.S. has specifically acceded that it uses Corning glass, as reported on by iMore. This figure also includes workers in Texas who manufacture processors for iOS products, Corning employees in Kentucky and New York who create the majority of the glass for iPhone, and FedEx and UPS employees. There is a tad bit of wiggle room in the statement, because it says ‘the majority’ of the glass is made by Corning employees in Kentucky and New York. It’s not clear whether the other glass is made by another company or simply employees of Corning in another location. Famously, Steve Jobs himself made the decision to switch the original iPhone’s screen from plastic to glass at the last minute due to a scratching issue. In his biography by Walter Isaacson (on iBooks here), Jobs is said to have called Corning Glass CEO Wendell Weeks directly to request that the company begin making its Gorilla Glass product again. Weeks responded by saying that it had ceased making it because it couldn’t find a buyer and was completely unprepared for the volume needed by Apple. Since the original iPhone came out, however, Apple has made no public admission that the glass used in the iPhone still came from Corning. There is no specific note that the kind used is in fact Corning’s ‘Gorilla Glass’ product, but it is likely either that or a variant thereof. Apple makes no statements about the glass used in iPads or iPod touch products in the report.